Here’s something that should satisfy the Midnight Madness crowd in the months leading up to TIFF! The CFC Worldwide Short Film Festival offers one night of gruesome mayhem with “The Night Shift.” Horror fans can enjoy blood spattered fun from dusk ’til dawn in this one night triple-bill. It’s a true evening of horror! The first programme is “Dependents” (you’ll notice a theme). A true family affair, “Dependents” sets the tone for the evening with Requiem for a C.H.U.D (Canada, 6 min. ), which is a blood-soaked gorefest that culminates in the cannibalistic caesarean delivery of an ill-fated foetus. If viewers haven’t lost their lunch, they can join in a few family dinners. A tried and true convention of classic horror (remember that scene in The Texas Chainsaw Massacre?) 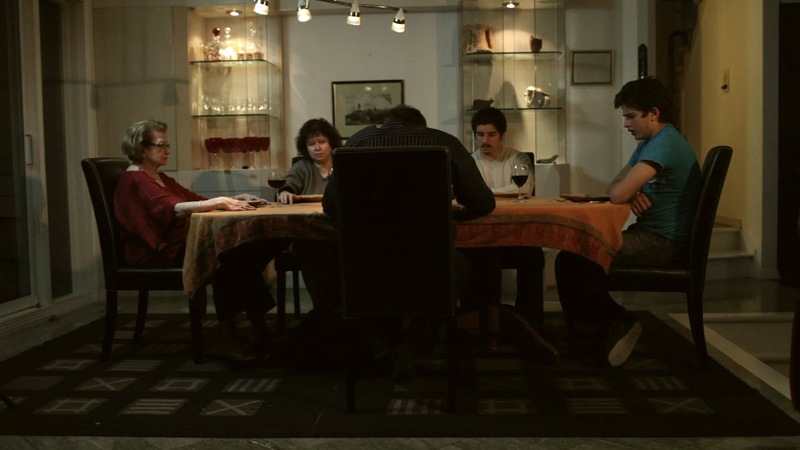 the family dinner is an unsettling pre-show to some gruesome carnage. 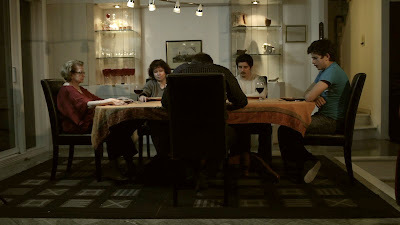 The best dinner party is Odette (Canada, 10 min.). Directed by Nicolas Bacon, Odette shows what kind of splat-n’-chuckle mayhem ensues when you dis’ grandma’s cooking. There are also some juvenile dependents that are subjected to terror, like the kids in the Road-rip-off Children of the Dark (Canada, 10 min.) or the little girl in The Captured Bird (Canada, 12 min. ), which should excite horror fans thanks to the executive producer credit given to Guillermo Del Toro. “Dependents” ends with a film that’ll have Midnight Madness fans hopping: The Unliving (Sweden, 28 min.) is like The Raid, but with zombies! Blood, madness, violence… huzzah! After all the mayhem of “Dependents”, stand up, give your knees a shake, wipe the blood off your face and get ready for round two. “Co-dependence” continues “The Night Shift” with a more sedated roster of films. Among the highlights is the animated film Moxie (UK, 6 min. ), which visits the scene of one baby bear’s death and then looks back over the days that preceded his demise. Moxie is a sick, twisted, and morbid black comedy: I caught it last fall at the Ottawa International Animation Festival and enjoyed it just as much the second time… if not more! “Co-dependence” also gives horror fans an ideal opportunity to escape the bloodbath if they need to visit the loo or take in some fresh air: In a Musty, Misty Thicket (Finland/France, 13 min.) is a real snoozer but it gives a thirteen-minute window to do any business that might need attending to at 1 a.m. (What’s scarier: the monsters in “The Night Shift” or the night owls on Bloor Street?) But make sure you’re back for the tail end of “Co-dependence”, as “The Night Shift” amps things up with the slow burn of Upstairs (Denmark, 38 min. ), which is a creepy, atmospheric haunted house film with an eerie dose of romantic longing. Finally, Believe the Dance (Norway, 15 min.) is the just the kind of cracked-out freak fest one needs circa three-in-the-morning. Stand up and dance with all the other nocturnal ghouls. Dance in the aisles, lest you want the gods of breakdancing to smite you. After you’ve loosened your limbs with Believe the Dance, “The Night Shift” turns to its final act, “Independence.” “Independence” assaults horror fans with the weirdest and most unsettling films of the night. It also starts out with the bloodiest short. Adjust Tracking (Canada, 5 min.) brings out an old relic of the past that’s sure to haunt viewers: VHS. If the feast on brains doesn’t give people bad dreams, the memory of analogue home video surely will. The most disgusting film of the night, however, is easily the animated film Bobby Yeah (UK, 23 min.). Bobby Yeah might be the most ghastly, sordid, twisted nightmare of a film I’ve seen in quite some time. Bobby Yeah unleashes a grisly tidal wave of bodily fluids and severed human remains (insert “too soon” joke here). 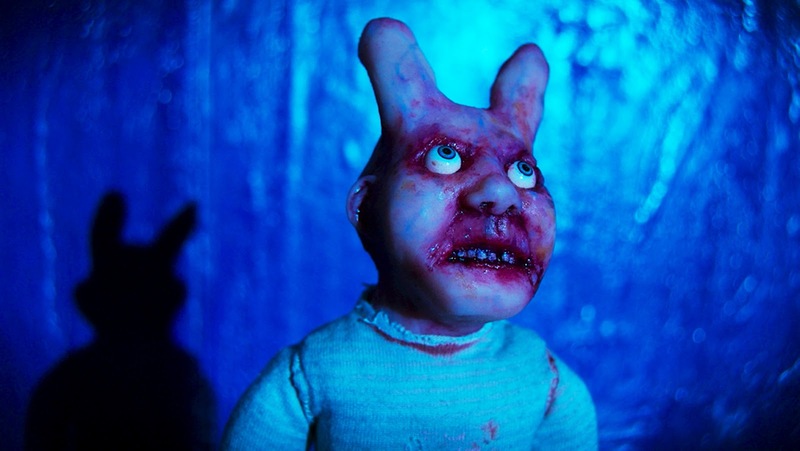 The creepiest thing about the film, though, is its uncanny animation: it looks like the filmmakers skinned a baby and draped the epidermis around some miniature dolls. Some of it looks like prosciutto, so viewers needn’t worry… unless they feel their tummies grumbling! After viewers soil themselves with Bobby Yeah, “Independence” continues through the dead of night with some eerie experimental films (including a haunting animated one from Estonia), which ensure that the ghost of Maya Deren lives on in this all-night celebration to alternative fare. Although this event is purely for die-hard genre fans,“The Night Shift” is a throwback to the days when going to the movies was all about B-reels and midnight madness. Clocking in at almost four and a half hours, “The Night Shift” ends just as dawn breaks and the vampires return to their coffins: no need to worry about nightmares tonight! The Night Shift screens at the Bloor Hot Docs Cinema on Saturday, June 9 at 11:30 pm.